Cataracts cause changes to the lens in your eye which makes your sight cloudy and misty. Cataracts are treated by surgery, during which the cloudy lens is removed and replaced by an artificial lens. Although most people have a good level of clear vision following their cataract surgery, the thought of an operation on your eye may be worrying. 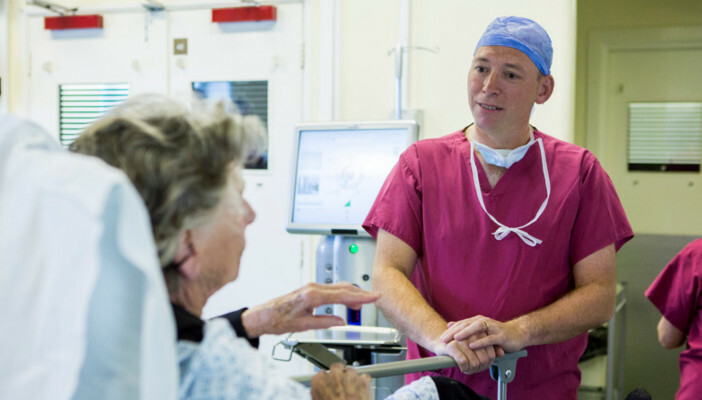 We’ve put together a guide to the condition and what to expect during surgery. 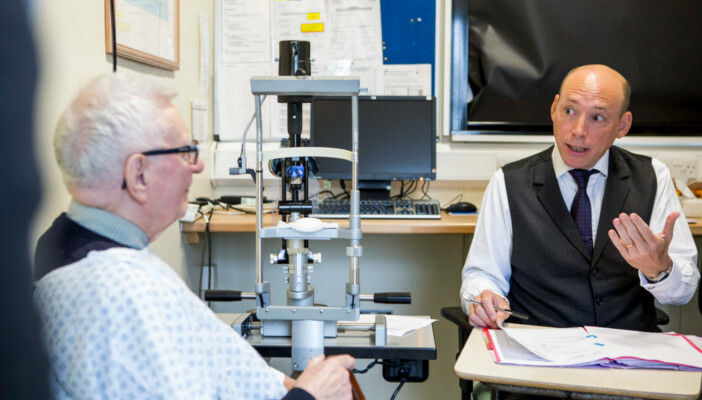 Our Understanding Cataracts guide is accredited by the Royal College of Ophthalmologists. It's designed to give you a detailed understanding of your eye condition and helpful advice on next steps. A cataract is a clouding of the lens in your eye. Your lens sits just behind your iris, the coloured part of your eye. Normally your lens is clear and helps to focus the light entering your eye. Developing cataracts will cause your sight to become cloudy and misty. Cataracts can affect one or both eyes. Cataracts are treated by surgery, during which the cloudy lens is removed and replaced by an artificial lens. Developing cataracts is a normal part of growing older. Most people start to develop cataracts after the age of 65, but some people in their forties and fifties can also develop cataracts. Diabetes – people who have diabetes often develop cataracts earlier. Trauma – having an eye injury can cause the injured eye to develop a cataract. Medications – some prescription drugs can cause cataracts, for example steroids. Eye surgery – surgery for a retinal problem will likely lead to cataracts in the affected eye at some point in the future. Eye conditions – other eye conditions, such as retinitis pigmentosa, glaucoma or uveitis, may also cause cataracts. Having high myopia – (being very short sighted) may cause cataracts. You feel like your glasses are dirty and need cleaning, even when they don’t. Your sight is misty and cloudy. You’re more sensitive to light – bright sunlight or car headlamps may glare more. Everything looks a little more washed out than it should be. Eventually, almost all people with cataracts will find that their sight has turned misty or cloudy, and things have become difficult to see all of the time. Cataracts can be removed by surgery. Cataract surgery removes your cloudy lens and replaces it with an artificial lens. This lens is known as an intra ocular lens – often shortened to IOL. The artificial lens is made of plastic or silicone, and will not need to be changed for the rest of your life. There isn’t any medicine or drops that can remove cataracts – surgery is the only way to treat them. Our Understanding Cataracts download guide (see the top of this page) goes into more detail on cataract surgery. We talk about posterior capsule opacification, a common complication of cararact surgery. People shouldn’t have to wait for their sight to significantly deteriorate before accessing treatment. 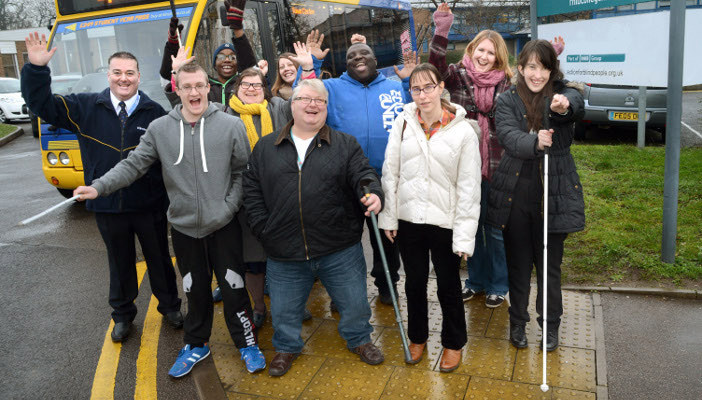 Join the campaign to ensure nobody faces unnecessary sight loss. NHS Choices has information and advice on age-related cataracts and cataract surgery.